Rosehearty's impressive leisure facilities make her the ideal charter yacht for socializing and entertaining with family and friends. 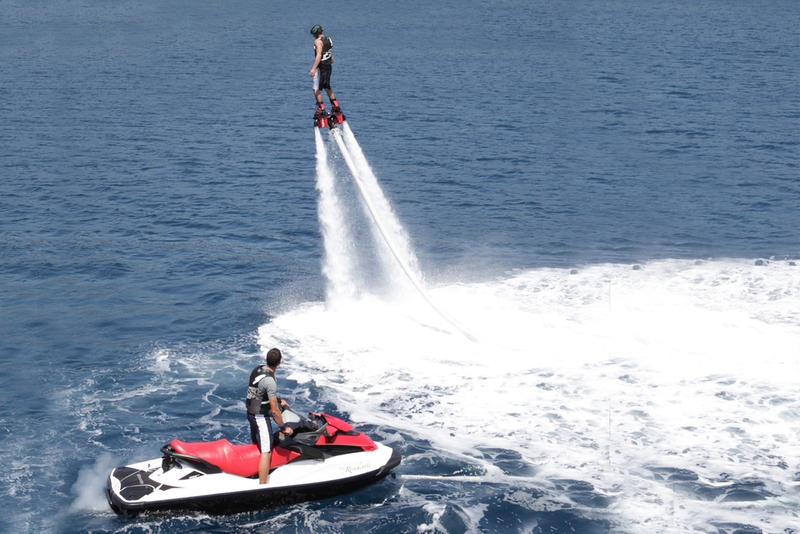 She offers excitement in the form of two jet skis, a Fly Board, water skis, wake board and other water adventures. A platform at the stern and port side allows easy water access for swimming. The teak decks have multiple awnings, covers, and umbrellas to offer shade for on-deck relaxation. There are chaise lounges and a BBQ on the aft deck. And of course a heated Jacuzzi available into the evening. Her entertainment system, 9 AppleTVs, Wi-Fi, networking, computers and communications systems keep guests entertained and informed. And at anchor, power into port on the superb Tenders that accompany the yacht. .